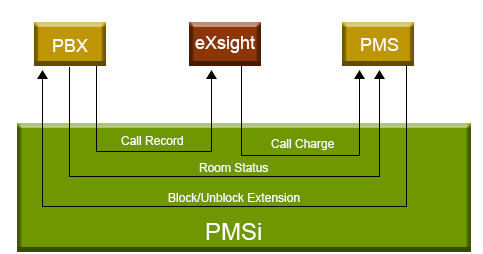 PMSi is a communication manager. It captures messages sent from one device to another and converts the format so that no special software modification is required. the efficiency of hotel operations and customer care. accounting system into one Hotel System.